Cafe del Sol: When, oh when? Cafe del Sol will not reopen as planned on Monday, March 1. 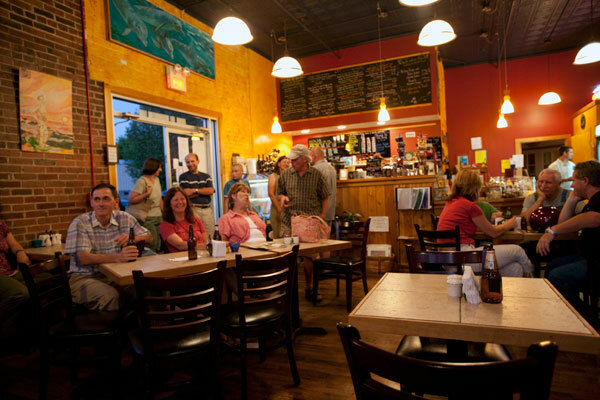 And a date for just when — or if — the popular Floyd coffee shop, which closed for the month of February, will reopen is not certain, according to owner Sally Walker. “We’ve had, shall we say, some glitches,” Walker told us Thursday. The status of Cafe del Sol has been a hot topic among customers during the shop’s month-long hiatus. The shop’s web site still says the establishment would be closed for a week in February and had not been updated as of 10 p.m. Thursday. Speculation about the future began earlier this year when Walker let her ABC license expire and del Sol stopped selling wine and beer. Walker said she hopes the shop reopens and would let us know when she can set a firm date for reopening. In del Sol’s absence, the Floyd Country Store began opening at 8 a.m. to serve coffee and pastries. Store manager David Wood said they are also adding additional breakfast fare, including a ham and egg sandwich on french toast. Most of the folks in your photo have beer bottles not coffee mugs in front of them. Perhaps it’s not a cup of “joe” we’ll all be missing?